Combine Chex mix, animal cookies, peanut candies, raisins and cherries. Gently toss to mix. 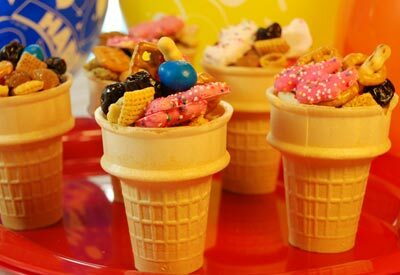 Serve in ice cream cones.